About Us | CHACKO LAW FIRM: Law Office of Mathew M. Chacko, P.C. Law Offices of Mathew M. Chacko, PC. (LOMMC) represents corporate and individual clients in complex and routine immigration law matters. The firm provides immigration assistance to clients from all 50 states and work with clients in areas of business immigration (H/K/L/P/R/TN) classifications, labor certifications, intra-company executives/managers, extraordinary ability aliens, outstanding researchers and professors, national interest waivers, exceptional ability aliens, religious workers, nurses/physical therapists, permanent residence through family, citizenship, and related matters. LOMMC’s Managing Member, Mr. Mathew Chacko, is a recognized immigration attorney with almost 15 years’ experience and is a member of the New York Bar as well as the prestigious American Immigration Lawyers Association (AILA). By utilizing his broad expertise, LOMMC is able to provide comprehensive representation and exceptional services to its clients (both corporate and individual) under complex and novel circumstances in virtually every immigration-related matter. LOMMC’s well trained and dedicated staff will make every effort to provide the most optimum, ethical and creative solutions to meet all objectives of each and every client. Mr. Mathew Chacko is the founder and managing member of Law Offices of Mathew M. Chacko, P.C., located in Fairfax, Virginia. Bachelor of Laws (LL.B) degree, from Kerala University, India. Master of Business Laws (MBL) degree, from National Law School of India University, India. Master of Arts (MA) degree in Public Administration, from Annamalai University, India. Master of Laws (LL.M.) degree in Labor Laws, from Mahatma Gandhi University, India. Master of Laws (LL.M.) degree, from Cleveland-Marshall School of Law, Cleveland, Ohio, USA. Mr. Chacko was admitted to practice as an advocate in Kerala High Court in India in 1992 and as an attorney in New York in 2003. Prior to starting Chacko Law Firm, Mr. Chacko practiced law with major law firms in Trivandrum and Mumbai in India. Mr. Chacko has almost 12 years of Immigration experience working with one of the leading immigration firms, Law Offices of Rajiv S. Khanna, PC. located in Arlington, Virginia. Mr. Chacko advises clients, serves as a mentor, and is responsible for the daily management of the law office. He has successfully practiced U.S. immigration law as an attorney for more than 15 years, and has dedicated his professional life to the practice of Immigration Law. 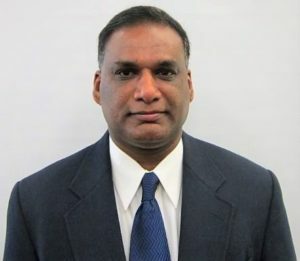 Mr. Chacko has successfully handled immigration matters for various clients ranging from small to multi-large corporations including software companies, scientific and financial institutions, universities, telecommunications, hospitality, manufacturing, and pharmaceuticals located throughout the U.S. and across the globe.